A decade since the start of a shale gas revolution that unlocked new supplies and resulted in a "wholesale turnaround" in U.S. production, the overall size of recoverable gas reserves continues to increase and the pace of production growth is only accelerating, a new report by business information provider IHS Markit says. IHS Markit expects natural gas production to rise by almost 8 billion cubic feet per day (Bcf/d), more than 10 percent, in 2018 alone. Altogether, U.S. production is expected to grow by another 60 percent over the next 20 years, the report says. Additionally, IHS Markit now estimates that approximately 1,250 trillion cubic feet (Tcf) of U.S. supply is economic below $4 per MMBtu Henry Hub price today, up from a previous estimate of 900 Tcf in 2010. The new report, entitled The Shale Gale Turns 10: A Powerful Wind at America's Back, assesses the impacts of the first 10 years of the unconventional gas revolution—unlocked through the combination of hydraulic fracturing and horizontal drilling technologies—and its future potential. When the shale revolution began a decade ago, the prevailing assumption was that the U.S. supply base was being exhausted and that the country would have to become a major importer of liquefied natural gas (LNG). Instead, in what the report describes as a "wholesale turnaround," U.S. output rose by more than 40 percent in that first decade (2007-2017) and real natural gas prices fell by two thirds during the same period. In contrast to the assumption a decade ago, the United States is now on track to become one of the world's major LNG exporters, the report notes. IHS Markit expects U.S. LNG export capacity to more than double in the next five years and rise to at least 10 Bcf/d by 2023. "To say that the ‘Shale Gale'—as IHS Markit originally coined it in 2010—has been anything but a veritable revolution would be an understatement," said Daniel Yergin, vice chairman, IHS Markit and co-author of the report. "It represents a dramatic and largely unanticipated turnaround that dramatically changed both markets and long-term thinking about energy. The profound and ongoing impacts on the industry, energy markets, the wider economy and the U.S. position in the world continue to unfold." The most dramatic effect has been on the U.S. electric power industry, the report says. Where coal and nuclear had previously dominated the growth in share of U.S. electric power generation, natural gas has become a "backbone of electric generation" and regularly competes with coal for the largest share of total electric generation. By 2040, IHS Markit expects natural gas' share to grow from almost one-third to nearly half of all electricity generated in the United States. 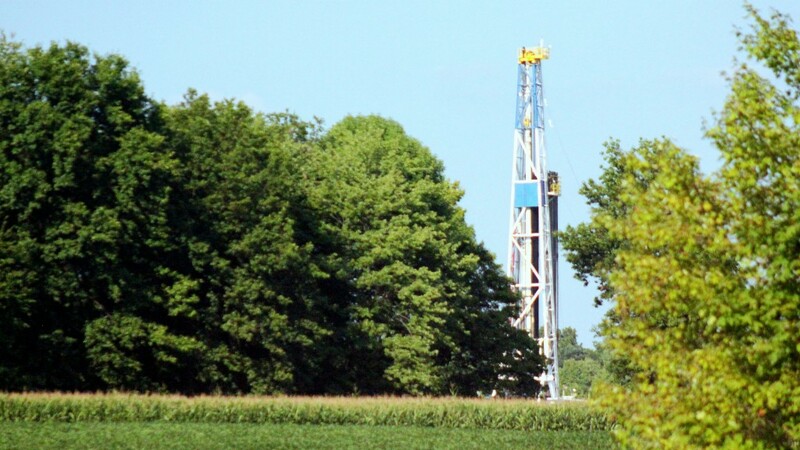 The report observes that the Shale Gale, has also made a major contribution to reducing U.S. CO2 emissions. IHS Markit estimates that in 2017, CO2 emissions from power generation were down 30 percent from 2005. More than half of that emission decline was from gas replacing coal. What started with natural gas would be extended to oil a few years later, with enormous global impact, the report notes. Between 2008 and 2018, U.S. oil output more than doubled and exceeded the previous height set in 1970. On a net basis, the United States went from importing 60 percent of its liquid fuel at the peak to below 16 percent in 2018—and the share is still falling. The United States is now on track to be the world's largest oil producer, ahead of Russia and Saudi Arabia, by early next year. The combined developments of unconventional oil and gas have had far-reaching impacts for the manufacturing sector and the U.S. economy as a whole, the report says. IHS Markit estimates that more than $120 billion in new capital investments will be spent from 2012-2020 to expand U.S. petrochemical manufacturing capacity—a result of abundant and inexpensive natural gas and natural gas liquids providing advantages in terms of thermal energy, feedstock and electricity costs. "Ancillary" investments could double that number, the report says. Previous IHS Markit research found that as many as four million jobs (indirect, direct and induced) could be supported by unconventional activity by 2025. "U.S. power markets and the economy overall would look significantly different had the shale revolution not taken place," said Sam Andrus, executive director, IHS Markit and co-author of the report. "The new outlook for natural gas cost and availability has created new possibilities for progress toward national goals of energy efficiency, cost efficiency, environmental protection and energy security. In short, the Shale Gale put a powerful new wind at America's back." The Shale Gale Turns 10 will be followed by a series of research papers available to IHS Markit clients, exploring the global implications of the Shale Gale for the energy value chain, economies and geopolitics.